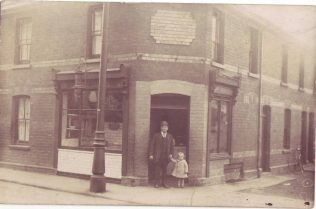 The attached photograph of the shop now owned by Rod Tandy was taken in the early 20th century (I think) – it was a Fish shop then run by my great Grandfather Henry Lewis (I think it is him in the photograph). Barton St Gloucester – next door to Mr Tandy, I guess. You can view a larger version of the image by clicking on it. Do You Live in Carmarthen Street?